Cole Smith claimed a pair of event wins at the DIII OHSAA State Championship this past weekend at Ohio State University. The Smithville senior won the the 110m hurdles and 300m hurdles races with his times of 14.18 and 38.04, respectively. In the 3200, Colonel Crawford's Chad Johnson ran away from the field early on route to his 9:05.43 winning effort. This is the second consecutive State Championship for the Iowa State University signee. He won last year's race in 9:20.38. Crooksville's Teck Kirkpatrick secured the high jump win due to his Ohio No. 2 jump of 6-9 and in relay action, Worthington Christian recorded a time of 7:50.92 to earn the 4x800 victory. Continue reading about the Division III event winners. 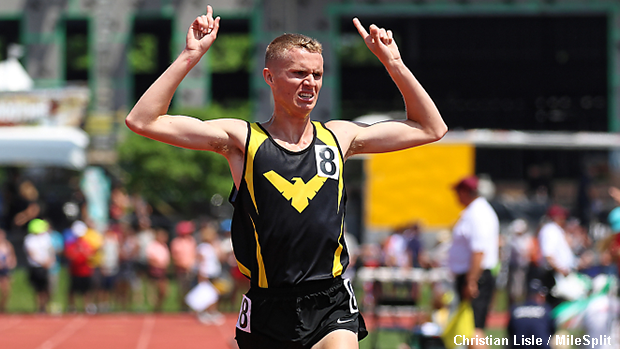 Thanks to MileSplit Ohio's Shawn Conlon for providing the photos that were used in this article.